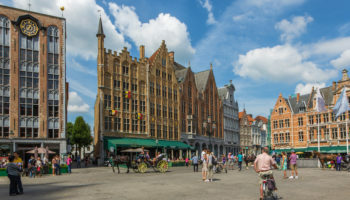 One of the most beautifully preserved cities in Europe, Bruges (Brugge in Dutch) is a magical mix of medieval architecture, cobbled streets and postcard-perfect squares, all crisscrossed by broad and serene canals. 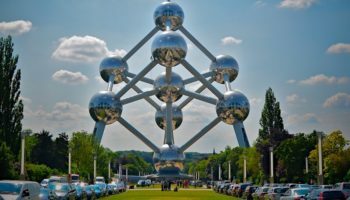 With its collection of impressive museums, historic breweries, world-class chocolatiers, charming hotels and tasty eateries, it’s no wonder that the city is the most popular destination in Belgium. Gliding down a canal in an open-air boat is a can’t-miss activity in “The Venice of the North”. 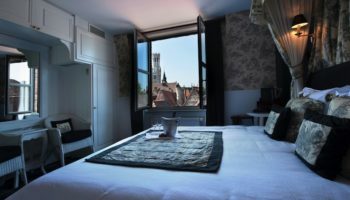 Whether shopping for the perfect piece of handmade lace or gazing at the artwork of a 15th-century Flemish painter, the attractions in Bruges offer memorable experiences for every traveler. 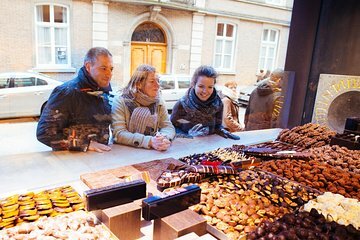 As a complement to the many chocolate shops in Bruges, the Choco-Story museum provides visitors with a wealth of information about the delicacy, including a look at the history of the cocoa bean’s transformation into the tasty treat. 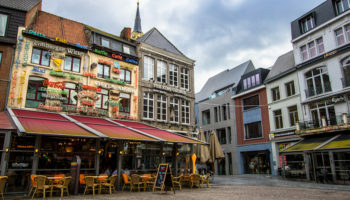 Exhibits at this popular Bruges attraction chronicle the discovery of cocoa in the Americas and examine how the new food gained popularity in Europe. The art of chocolate making is on display too, with live demonstrations that offer visitors opportunities to sample the results on the spot. The family-friendly museum also includes chocolate hunts for children. Art lovers will find a treasure trove of Flemish masterpieces in the highly regarded Groeninge Museum. Collections include paintings by Jan van Eyck, who spent his final years living and working in the city. With its attention to detail and high degree of realism, his painting of the Madonna and Child illustrates the contribution this skilled artist made towards the development of oil painting. 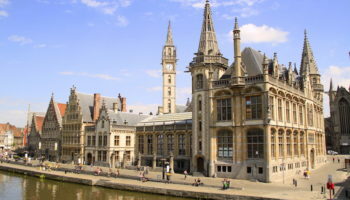 Exhibits feature paintings from Belgium’s modern artists as well, notably the surrealistic “Serenity” by Paul Delvaux. Other painters represented in this must-see museum include Hieronymus Bosch, Hugo Van Der Goes and Hans Memling. 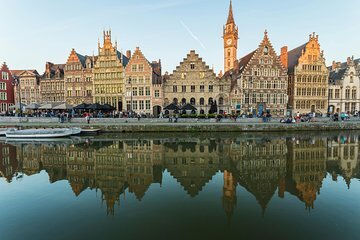 The canals of Bruges are known for their gentle flow, and there’s no more better place to enjoy the beauty of the city reflected on the tranquil waters that on the shore of the Minnewater, a wide canal known as the Lake of Love. The nickname comes from a story of a girl name Minna who died trying to escape from an arranged marriage into the arms of her lover Stromberg. Local legend says that lovers who cross the lake’s bridge will experience eternal love. Once a dock where ships and barges moored, the rectangular lake is now part of Minnewaterpark, a public green space that also includes remnants of castle ruins. 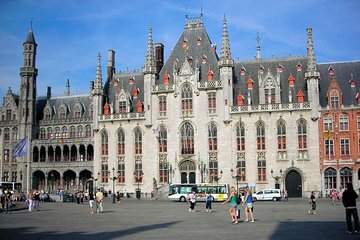 The tallest structure in Bruges and one of the most visually striking, the Church of Our Lady is a medieval edifice with a central brick spire that towers over the city. Onze Lieve Vrouwekerk is best known for the white marble Madonna and Child statue, the only work by Michelangelo to leave Italy during the artist’s lifetime. The impressive sculpture is situated on an altarpiece in the chapel’s southern aisle. The apse of the church is the final resting place of Charles the Bold and Mary of Burgundy. Bronze effigies of the last Valois Duke of Burgundy his daughter adorn the marble tombs. Founded in 1245, the “Princely Beguinage Ten Wijngaerde,” commonly called the Begijnhof, is the last surviving beguinage in Bruges. Although the quiet complex is no longer home to beguines, it stands as a serene reminder of the religious-minded women who once lived here without taking vows. Today, Ten Wijngaerde is a Benedictine convent where visitors are allowed to wander among the white-washed structures, central green space and 13th-century church. A small beguinage museum offers a glimpse of what life was like for the women who retired from the world and made the beguinage their home. A 45-minute tour of De Halve Maan Brewery museum offers visitors an inside look of the brewing techniques that have made Belgium one of the best beer-producing countries in the world. Of the nation’s 180 breweries, the Half Moon is one of the oldest. Six generations have operated the family-owned establishment since 1856. A nominal entry fee includes a free bottle of either the blonde beer Bruges Zot or the high-alcohol-content Straffe Hendrik. Visitors can sample other varieties at the brewery’s bar or restaurant. The main draw at the 12th-century Heilig-Bloedbasiliek located in Burg Square is a fragment of cloth believed to be stained with the blood of Christ. Legend has it that the relic was obtained during the Second Crusade in Jerusalem. Encased in a crystal vial housed in a gold-adorned cylinder, it is displayed every Friday in a silver tabernacle in the heavily renovated chapel upstairs, which is adorned with wall murals and stain-glass windows. With its spare design and serene atmosphere, the well-preserved lower chapel is a beautiful example of the Romanesque architectural style. This medieval bell tower dates back to 1240, built at a time when Bruges was a major player in the cloth industry. It was rebuilt after being destroyed by fire 40 years later, with other fires occurring in the centuries following. Bells still chime out from the tower today. Climbing the 366 step to the belfry’s clock rewards visitors with a panoramic city view. 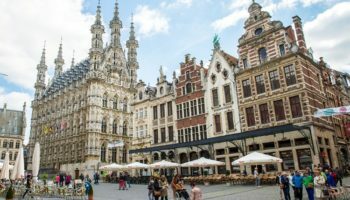 Few European plazas boast as many sidewalk cafés, shops and architectural treasures as the main square in Bruges. Since 958, this oversized square has been the city’s primary marketplace and administrative center. While most of the structures standing today date to the 19th century, the 13th-century bell tower known as the Belfort still rings out the hours. Many of the gabled buildings that line west and north sides of the square are reconstructions of traditional guildhalls. Horse-drawn carriages rides are available at the Markt for half-hour tours. 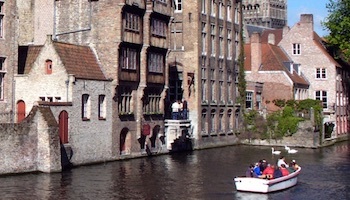 Because of its canals Bruges is often called ‘The Venice of the North’. In the Middle Ages the ‘Reie’ river had been turned into a network of canals that enabled the traders to bring their products to the large Water Halls at the Market. 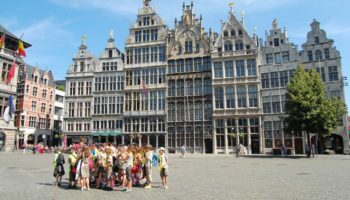 Nowadays a boat ride on these famous canals provide a great way to see some of Bruges most beautiful sites. 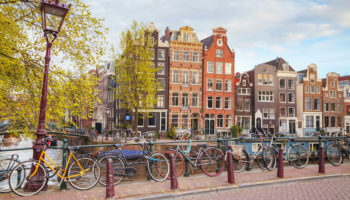 Of all the canals, the Groenerei (the ‘green canal’) is the most romantic. It is best seen from Peerdebrug (Horse Bridge); looking towards the Meebrug, the canal is lined with trees and creepers, elegant 17th-century mansions and almshouses and topped by the cathedral tower.